Doomsday meteors, mass vanishings, demonic possessions, and serpent gods all feature in the new Aftermath TV show trailer from Syfy. Watch it below. Starring James Tupper and Anne Heche, Aftermath follows the Copeland family (parents Karen and Joshua, and kids Dana, Brianna and Matt) as civilization comes to an apocalyptic end. The end of the world is just the beginning. Together, the Copelands battle to survive massive storms, meteor strikes, earthquakes, a plague – and the rise of supernatural creatures. The Aftermath TV series cast also includes Julia Sarah Stone, Taylor Hickson, and Levi Meaden. Aftermath premieres on Syfy, Tuesday, September 27, 2016 at 10:00pm ET/PT. Syfy says, “It’s the end of the world as we know it! Save us Anne Heche! Aftermath premieres September 27 at 10/9c.” Watch the Aftermath season one trailer, from Syfy. What do you think? Did you like the trailer? Do you plan to watch the Aftermath TV series premiere on Syfy? 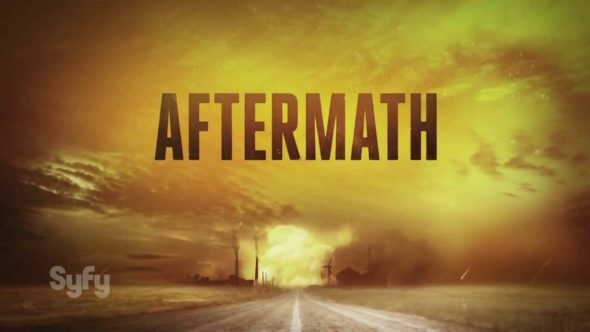 More about: Aftermath, Aftermath: canceled or renewed?, Syfy TV shows: canceled or renewed? You lost me at demonic possessions and serpent gods.